If you are applying for social security disability benefits, you could probably use some help. You can’t work. Money is scarce and you have a disabling physical or mental impairment. To make matters worse, the social security process is complicated and difficult. Louisiana Social Security Disability lawyer Rod Deus has devoted his professional life to helping disabled people obtain the social security disability benefits they deserve. He knows what you are going through and he can help. 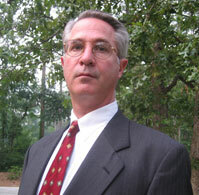 Mr. Deus has practiced Social Security law exclusively for over twenty-five years and understands it thoroughly. He has devoted countless hours to understanding social security law and the medical conditions which affect his clients. Mr. Deus has been a member of the National Organization of Social Security Claimants’ Representatives for over twenty years and was one of the original members of the Fifth Circuit Organization of Social Security Claimants’ Representatives (FOSSCR). He has been on the board of directors of FOSSCR and has been a lecturer for both the Louisiana State Bar Association and FOSSCR. Rod Deus has represented people with nearly every type of disability. Mr. Deus concentrates his practice in the states of Louisiana, Mississippi, Alabama and Florida, but people from numerous states have asked Mr. Deus to represent them in Social Security cases. Mr. Deus does not charge a fee unless benefits are received. Louisiana Social Security Disability attorney Rod Deus understands the law and he understands the medical conditions of his clients. Let his knowledge and experience work for you to help you get the social security disability benefits you deserve. Contact Rod Deus at (504) 588-9123.